Media and Advertising. 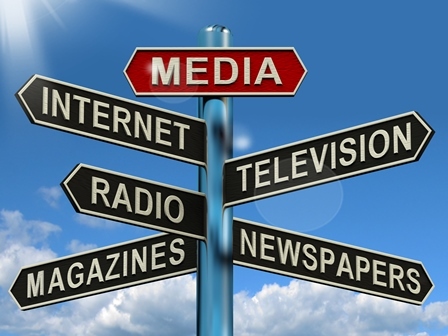 An important part of the Law Firm practice comes from Media and Advertising area. Our clients are both advertising agencies (production and creation), sales house of indoor, outdoor, radio, TV and owners of advertising spaces on outdoor and print. For these clients, along with the general legal services provided on a day to day basis to an advertising company, which includes services of drafting, reviewing and negotiation of specific agreements, representation and assistance services in labor litigation, or in front of Romanian Trade Registry, of debt recovery, the Law Firm is able to assure services of assistance and representation within all public acquisition procedures (public auction), consultancy services concerning royalties agreements or in order to follow all legal provisions to obtain a trademark registration with the Romanian competent authority (State Office for Patents and Trademarks – Oficiul Roman pentru Inventii si marci – OSIM). The Law Firm may successfully provide, due to an extensive experience, legal advice in relation with the rules enacted by the National Council of Audiovisual (Consiliul National al Audiovizualului CNA) seeking the conformity between the relevant legislation and the storyboards or commercials created by advertising agencies. The Law Firm successfully performed legal assistance services in order to defend their clients rights in front of Romanian Advertising Council facing third parties complaints where were invoked alleged breaches of the Romanian Code of advertising practice (Romanian: Codul Roman de Practica in Publicitate). Sora & Asociatii – Corporate Law Firm is the best solution if the client needs a team of lawyers that understands the advertising market and the entire business characteristics.